This neuroimage processing pipeline software is developed by the Hagmann’s group at the University Hospital of Lausanne (CHUV) for use at the Center for BioMedical Imaging (CIBM) within the SNF Sinergia Project 170873, as well as for open-source software distribution. Connectome Mapper 3, part of the Connectome Mapping Toolkit (CMTK), implements full anatomical, diffusion and resting-state MRI processing pipelines, from raw Diffusion / T1 / T2 / BOLD data to multi-resolution connection matrices. 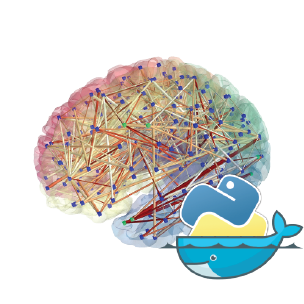 The Connectome Mapper 3 pipelines uses a combination of tools from well-known software packages, including FSL_, FreeSurfer_, ANTs_, MRtrix3_, Dipy_ and AFNI_. These pipelines were designed to provide the best software implementation for each state of processing, and will be updated as newer and better neuroimaging software become available. Take T1 / Diffusion / resting-state MRI data from raw to multi-resolution connection matrices. Reproducibility and replicatibility is achieved through the distribution of a BIDSApp, a software container image which provide a frozen environment where versions of all external softwares and libraries are fixed. Work supported by the SNF Sinergia Grant 170873 (http://p3.snf.ch/Project-170873). This software is distributed under the open-source license Modified BSD. See license for more details. Copyright (C) 2017-2019, Brain Communication Pathways Sinergia Consortium, Switzerland.